The great thing about good food and drinks, besides the flavor, is that it creates an interesting topic of conversation and a level of enjoyable experience based on your knowledge of it. 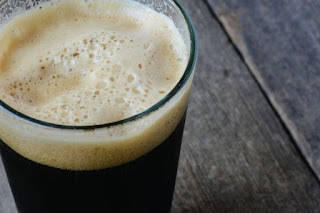 So before you drink your next porter, here's some interesting history and notes on the characteristic style of the beer, that is worth knowing. Porter was developed in London and was considered as a very hearty and nourishing liquor. The first reference to the beer is recorded in the early 18th century and some suggest that it obtained the name of 'Porter' due to its popularity with the street porters and other working men. An alternate version of the story says that the beer in its early days, was ported or carried around in pots and left at the houses of customers and the pot-boys shouted 'Porter', as they knocked at the doors; meaning not the beer, but themselves as its porters, hence acquiring its name. 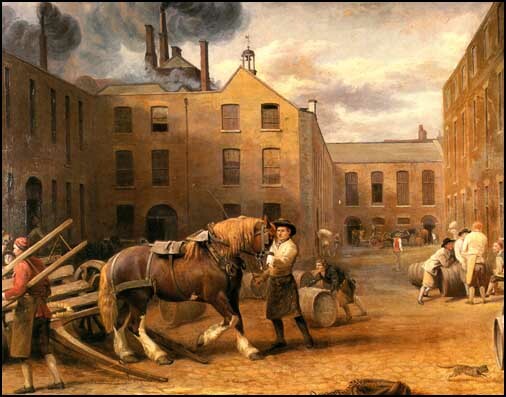 Porter was the first beer to be aged at the brewery, as before the start of the 18th century, London brewers sent out their beer very young and any aging was done by the dealer or the tavern selling the beer. It was the first beer produced on a large scale and London porter brewers, such as Whitbread, Truman and Thrale achieved great financial success with it. In Ireland, especially Dublin, the porter was known as 'plain porter' or just 'plain'. By contrast, extra-strong porter was called 'Stout Porter'. A reference to the porter can be found in Flann O'Brien's poem 'The Workman's Friend' - 'A pint of plain is your only man'. The history and development of stout and porter are intertwined. Strong porters were originally marketed under names such as 'Extra Porter', 'Double Porter' and 'Stout Porter'. The term 'Stout Porter' would later be shortened to just 'Stout'. Guinness Extra Stout was originally called Superior Porter when Artur Guinness II first brewed it in 1821. A version known as Baltic porter is brewed in some Eastern European countries. This version originated in the Baltic region influenced by the Imperial Stout. Imperial Stouts were exported from Britain to the court of Catherine the Great, the Russian monarch, in the 18th century. Porter was commercially brewed in the United States in the 18th century, especially in New England and Pennsylvania. Porter with its fascinating history and evolution over the years has shifted its identity many times. It was also one of the first to travel from Britain to other countries like America, Australia, India and the Baltic countries. In some of these places it was brewed to suit the local taste. Historical notes suggest that Porter was a beer made by mixing different brews referred to as 'three-threads' or 'half and half': part fresh beer, part aged beer, part stale beer or alternatively half 'common ale' and half 'double beer' meaning 'strong beer'. It was around 1730 when an ingenious brewer, named Harwood contrived to create an entire brew without blending, yet retaining the flavors of the blend. Porter in its early days is described as a very hearty and nourishing liquor; having a smoky, roasted, tart flavor. By the end of the 18th century, Porter was Britain's most popular beer style for around 100 years, a dark brew, high in bitterness, rich in flavor and character. The popularity of the style prompted brewers to produce porters in a wide variety of strengths. In the last few decades of the 19th century, the popularity of the porter began to decline, as 'Stout Porters', which were the stronger versions of porter, started to gain its own identity and style as a stout, leaving porter to be identified as a 'mild' style of beer. The style got even weaker during the First World War in Britain, as shortages of grain led to restrictions on the strength of the beer. Now Porter is back and thriving as one of craft beer's most prominent beer styles, and it's made around the world. Many breweries brew porters in wide varieties, such as pumpkin, honey, vanilla and chocolate, while a few continue the tradition of aging in barrels.